Chiltern has many historic buildings, three of which are owned by the National Trust, and many others on the National Register of historic buildings. Among them is The Star Hotel and Theatre, built in 1866, which gives a rare glimpse into our early miners at leisure. In the courtyard stands the largest grapevine in the Southern hemisphere, planted in 1867. Visit Dow’s Pharmacy, a unique and fascinating dispensary and shop, established in 1859. 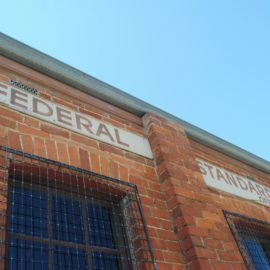 The original façade has remained intact, while the intriguing collection of pharmaceutical equipment inside is untouched since 1969 when it became National Trust property. Make sure you leave plenty of time for the Chiltern Athenaeum Museum. Built in 1866, as the goldfields library, the building has also been the Council Chambers and Town Hall. This magnificent building demonstrates the earnest determination of our pioneers to establish a town built upon solid values. Today, its extensive collection of 19th century books and artwork remains for view. 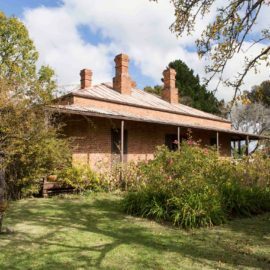 For more information on the historic buildings, visit the Chiltern Visitor Information Centre at 30 Main Street.